Over the last 18 months, there has been an explosion of products and services containing CBD, especially in Colorado. It has been coined as the “miracle cure” for so many ailments, conditions, and symptoms. You have to wonder if all these claims are true. The medical and scientific research has also kept pace with the increased interest in cannabidiol (CBD). In the report The Health Effects of Cannabis and Cannabinoids: The Current State of Evidence and Recommendations for Research, an expert, ad hoc committee of the National Academies of Sciences, Engineering, and Medicine presents nearly 100 conclusions related to the health effects of cannabis and cannabinoid use. This is why a massage infused with CBD has added therapeutic benefits. While these are all benefits of a massage – they are intensified with the use of CBD oil. This means your musculoskeletal systems are receiving the benefits from the massage and your nervous system is receiving important messages from the CBD oil to help you back to a place of center. 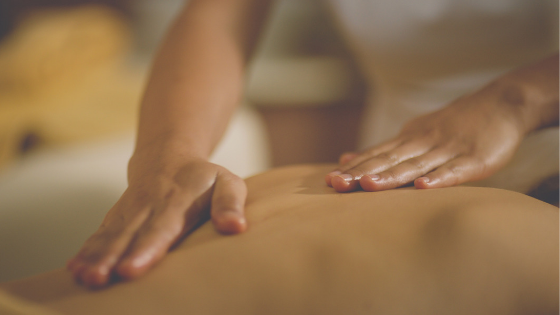 The Hemp Oil (CBD) Massage at Five Wellbeing Studio + Spa is a 60 or 90-minute spa treatment.